Here at 51allout, we’re fast approaching the 1,000 articles mark (and by fast, we obviously mean incredibly slowly). That’s 1,000 failed attempts at being funny, each one missing the target in a subtly different way. When we do finally reach that mark, we’ll no doubt celebrate like we always do: with a few cheeky gins. Followed by some less cheeky gins. Before we know it, a whole bottle of Bombay Sapphire has disappeared and the work experience boy is digging through the bins outside the local Sainsbury’s, just in case they’re chosen to chuck out something perfectly drinkable. While our love for gin is rather well documented, it’s not exactly a secret that we’re also partial to a pint or two of beer. In fact, our attempts to secure free gin via our ‘celebrity’ status have been totally unsuccessful throughout the years while our work in the field of beers has been much more productive, in that we once got six free Kingfishers for doing nothing at all. Had we known that they’d have to last for the next three years, we’d probably have been slightly more democratic in the way that we chose to distribute them. Which is a long-winded way of pointing out that former 51allout writer James Knight drank the lot. There’s a reason he’s a former writer. Who’d have thought that this guy would one day be our second most hated Knight? With each passing year our failure to secure free alcohol dented our confidence further, to the extent that when Shane Warne teamed up with Moa to produce a pale ale, called 99 Not Out, we didn’t even bother asking for a freebie, instead actually buying some from a local bottle shop using the fragile remains of the 51allout petty cash tin. On the plus side, this meant that we didn’t have to pretend that we liked it if it turned out tasting like bleach. The story behind the name is one of the great cricketing tales*. 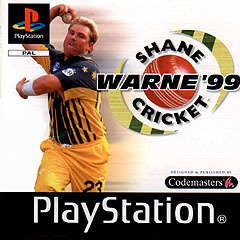 It relates to Warne’s highest Test score: 99 against New Zealand at the WACA all the way back in 2001. In classic Warne fashion, he tried to get to three figures with an almighty slog sweep off the bowling of Daniel Vettori, only to send the ball miles into the Perth air before it eventually landed in the hands of Mark Richardson. Back in those days umpires used to actually make decisions about no balls themselves, rather than ignoring them altogether and then checking every single wicket just in case. 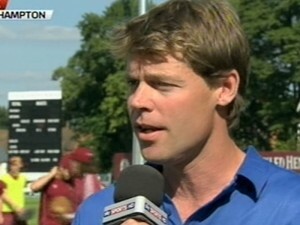 Had that been the case Warne might actually have reached his century, as it transpired that Vettori had overstepped. 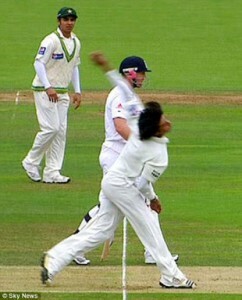 Quite why a spinner bowling off a three step runup should overstep is something no-one seems to be asking. Ah yes, there is that reason. Warne, being the larrikin that he is, sensibly chose to rewrite history with his beer name, hence the title. We think he’s also trying to cash in on having a reasonably similar name to us, but that’s probably just us being paranoid. Although there are worse ideas than producing a 51allout gin, complete with a big picture of Amjad on it. If anyone from a spirits company is reading this then feel free to use our idea. All we ask is for a lifetime supply of said gin in return. Back to the actual tasting; Warne’s beer is, thankfully, nowhere near as waxy as the man himself. Instead it’s rather pleasant. Using our gin-addled palettes, we’d probably describe it as being “quite nice” and definitely “drinkable”, especially if it was “delivered free to the 51allout office”. According to the makers themselves it displays ‘spicy/earthy hop notes, a strong malt backbone, and a nicely balanced bitterness’. Although they might actually have been talking about the split between these two at the time. In conclusion: basically, all beer is good. Beer that’s been made properly, as opposed to cobbled together in someone’s bathtub, is even better. This is clearly a beer that hasn’t been made in Warnie’s bathtub, and is therefore more than welcome to arrive at our doorstep in industrial quantities. Although we hope it’s not the beginning of a range of 99-themed products that basically tarnish the reputation of one of the game’s greats.